Many of us are guilty of overeating. It's easy to sit back and enjoy the deliciousness of food just a little too much. 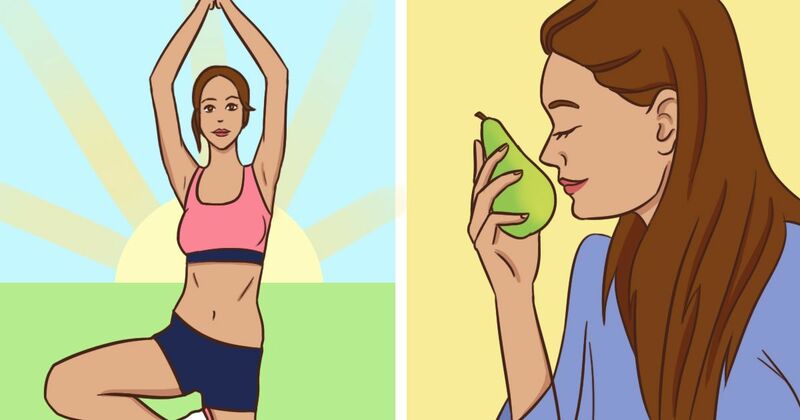 While eating properly and exercising regularly can help you trim down, there are other simple adjustments you can make that can help eliminate unnecessary calories. The suggestions here are not only easy, but can be used every single day to help you eat less. Ready to learn how you can cut up to 500 calories per day? Let's get started! Have you ever noticed when you cook all day long that you don't feel like eating? The reason for this is that smelling food is actually a huge part of eating it. An article from Prevention indicates that the scent of certain foods can actually suppress your appetite. A couple of good choices are bananas and green apples. Drinking prune juice can help you shed a few pounds. According to Prevention, the fiber found in prunes makes people feel fuller for longer so they are less likely to overeat throughout the day. Want to eat less? You should follow this tip offered from Health. Make a habit of using a smaller plate. This not only makes less room for unnecessary foods, but seeing the small space full of food will make you feel like you are eating plenty. The way that you eat can impact how much you consume. According to an article from Prevention, eating with your non-dominate hand or even switching which room you eat dinner in can reduce the amount of food you eat. Why? When you stick to your regular habits, eating can become so mundane that you don't realize just how much you eat. If you switch things up a bit you will be more focused on the amount of food you are consuming. Want to burn a few calories without breaking a sweat? Health indicates that tapping your foot or doing other small movements throughout the day is a quick and easy way to cut calories. Exercising first thing in the morning not only starts you day off on the right foot, but can also help you consume fewer calories. An article from Prevention says that elevating your body temperature from exercise can work to temporarily curb your appetite. You should be mindful of what you are eating so that you don't indulge. Eating in front of the TV can turn meal time into a mindless activity where you don't even realize just how much you are consuming. Shut off the TV and focus on what you are putting in your body. An article from Prevention suggests afternoon snacking rather than morning snacking. There is not as much time between breakfast and lunch and research indicates that a mid-morning snack could be skipped altogether which means less daily calorie intake. It is better to snack in the afternoon since there is a longer period between lunch and dinner. Low-fat foods can be tricky for some people. When a food is labeled as a healthier option, it can inadvertently give people a license to overeat. People just assume that they can eat more because it isn't as fattening as the other options. However, an article from Prevention indicates that while low-fat foods may mean fewer calories, it usually means more sugar. Adequate sleep is important if you want to limit snacking. An article from Health indicates that studies show that people who have less than 5 1/2 hours of sleep are much more likely to snack throughout the day. Consuming protein is helpful because it takes longer to digest. This helps people not overeat. Soda is packed full of sugar and unnecessary calories. It not only offers little to no nutritional value, but it is bad for your teeth and too much soda and not enough water can cause dehydration. Avoid turning your home or office temperature up past 77 degrees. An article from Prevention explains that keeping your body temperature lower will make your body fight harder to maintain the average 98.6 degrees. This can help burn calories. An article from Health says that the worst thing you can do when eating a healthy meal is to ruin by putting on too many toppings. Whether it's a salad or pasta dish, you should limit the dressing, cheese, bacon, or other additions because the calories will add up quickly. Does it bother you to listen to listen to someone else chew? An article from Prevention suggests to try to listen to yourself! Studies have indicated that if you can hear your own chewing it may actually influence you to not eat as much. And they say that avoiding calories is hard! Share these tips with your friends.